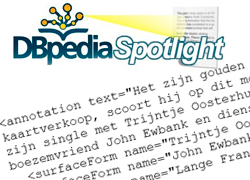 These materials have been produced in the frame of the Succeed project (www.succeed-project.eu).They are available in PDF format; standard SCORM packages to allow for their direct integration into educational platforms like moodle; and wiki to be fed up by the community. They are available in PDF format and standard SCORM packages to allow for their direct integration into educational platforms like moodle. The Document Deskewer is a simple and easy to use command-line tool for automatically correcting skewed pages. 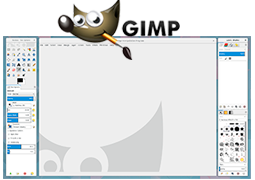 GIMP is best known as a free alternative to professional graphic editing programs such as Adobe Photoshop. 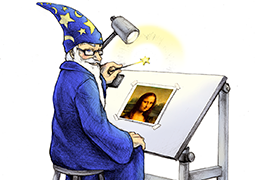 ImageMagick is a software suite to create, edit, compose, or convert bitmap images. 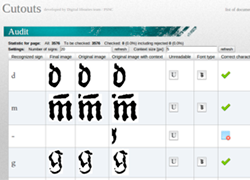 It can read and write images in over 100 formats. 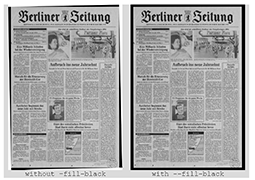 The Page Curl Correction is a command-line tool capable of detecting such distortions and correcting them automatically. 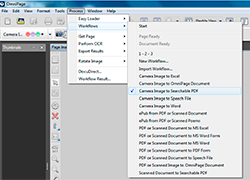 It is an interactive tool for post-processing of scanned pages that gives the ability to cut or crop pages, compensate for skew angle, etc. It is a web application that allows for the creation of custom recognition profile for a specific kind of documents in Tesseract. 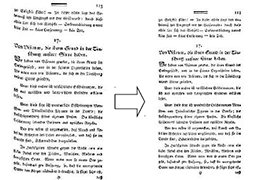 ABBYY FineReader is a widely used, well-documented commercial product for text recognition in images. 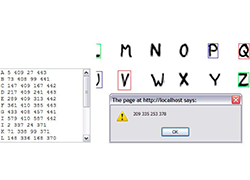 It is a robust optical character recognition (OCR) application available from Nuance Communications that supports over 120 of languages. 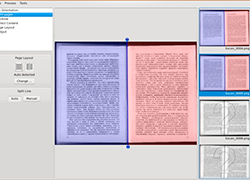 It is the most widely used open source OCR application. It supports typed, handwritten or printed text and a wide variety of languages. 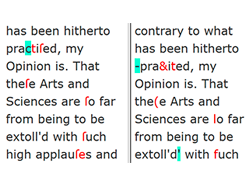 It compares a reference text with the OCR output and the comparison of the output of two different OCR engines or one engine with different options. 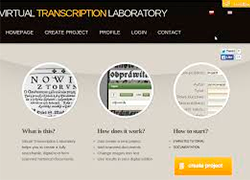 It is a crowdsourcing platform developed by PSNC to support creation of the searchable representation of historic textual documents. 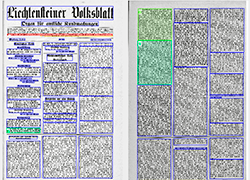 It is a manual post-correction tool for automatically processed newspaper scans. 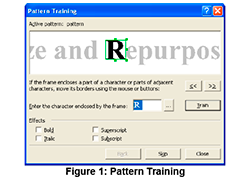 It automatically corrects detected layout elements, texts and other properties. It provides an online service for keyword extraction, but also for sentiment extraction, text categorization, etc. It is an application in which a corpus of texts can be loaded so as to be able to annotate its tokens (lemmatize and more). 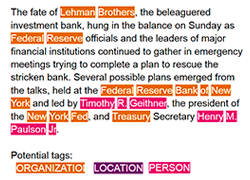 It is a tool for automatically annotating mentions of DBpedia resources in text, providing a solution for linking unstructured information sources. 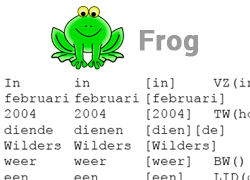 It is an integration of memory-based natural language processing (NLP) modules developed for Dutch. 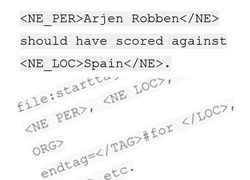 It is a multi purpose GUI used in the production of computational lexica and gold standard data for NE tagging. It is a tool that can mark and extract named entities (persons, locations, organizations or even titles) from a text file. 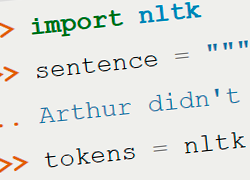 It is a leading platform for building Python programs to work with human language data. 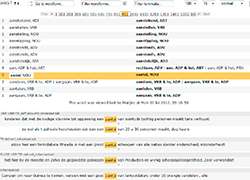 It provides easy-to-use interfaces to over 50 corpora and lexical resources. Stanford NER is a tool that can mark and extract named entities (persons, locations, organizations or even titles) from a text file. 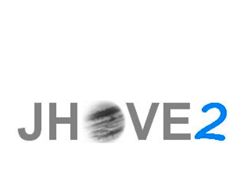 JHOVE2 is open source software for format-aware characterization of digital objects. It is a webservice that gives any piece of software quick online access to a lexicon by means of http requests. 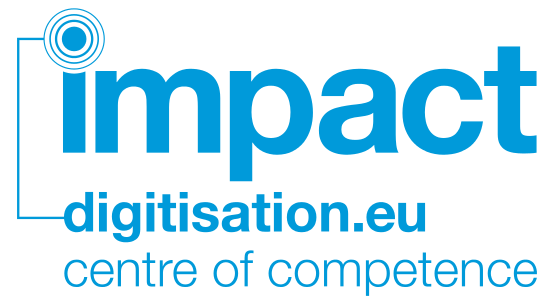 The IMPACT Centre of Competence aims to provide a wide range of training opportunities for institutions engaged in or embarking on a text-based digitisation project or programme.